OAuth 2.0 authorization framework (see OAuth) enables a third-party application to obtain limited access to an HTTP service, either on behalf of a resource owner by orchestrating an approval interaction between the resource owner and the HTTP service, or by allowing the third-party application to obtain access on its own behalf. The OAuth 2 specification (RFC 6749) replaces and obsoletes the OAuth 1.0 protocol described in RFC 5849. 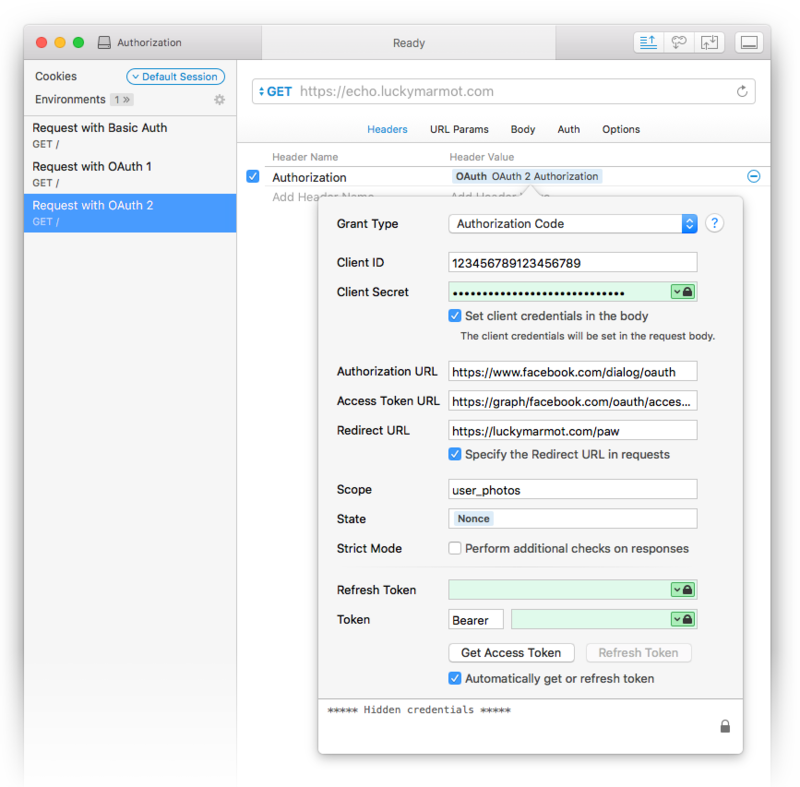 Paw natively supports the full OAuth 2 flow via the OAuth 2 Dynamic Value: authorization, token request, and generation of the Authorization header. Go to the Auth tab and choose OAuth 2. 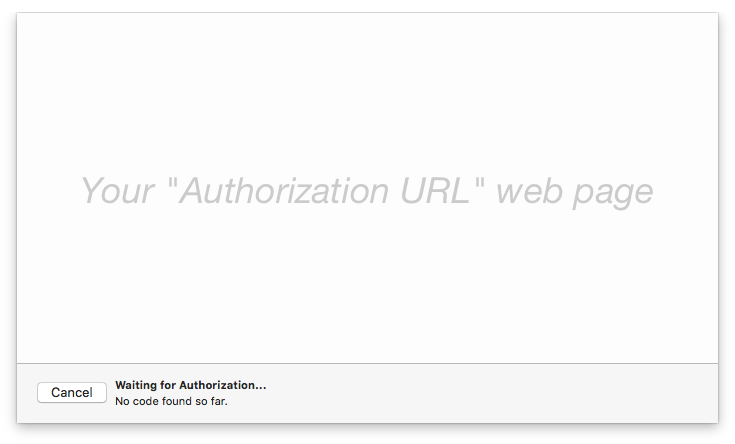 Authorization URL: the URL of the web page the OAuth service (aka. provider) would normally bring users so they can authorize the access. 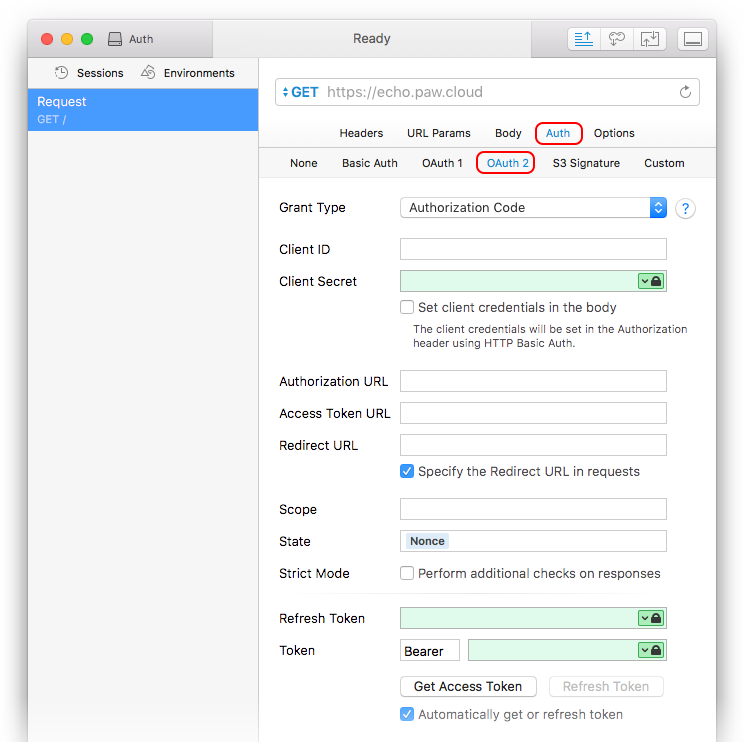 Access Token URL: the URL your server uses to request an access token. Redirect URL: also known as the Callback URL, it’s the URL you’ve setup in the OAuth provider’s settings. It should be the URL of a web page on your server, where users will be redirected after authorization process. In Paw, that’s optional, as Paw can work without it. You can leave this field blank or enter any valid URL, Paw will intercept the token regardless. Now that you’ve setup the OAuth settings, you can manually request an access token, or skip this section and let Paw automatically handle authorization when needed (when sending request, Paw will automatically ask authorization if there is no access token or if it has expired). The calls are always handled by Safari. 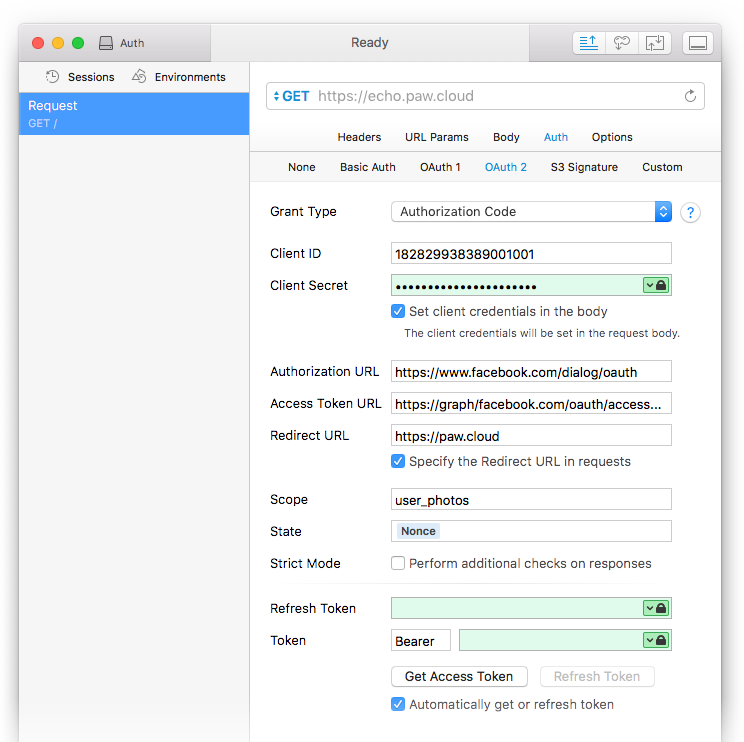 Paw will add the Authorization header automatically. You can check it in the Headers tab. You’re ready to send the request!